Jamie Carragher: "He doesn't get enough credit at times for his quality. " 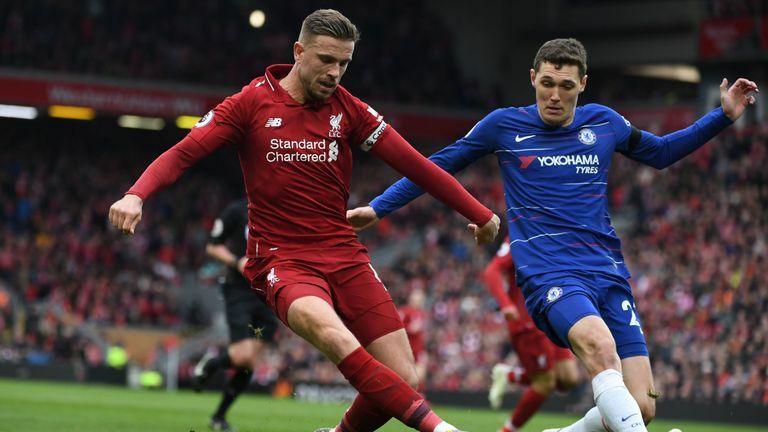 Liverpool skipper Jordan Henderson received plenty of plaudits for his display in the middle of the park in the 2-0 win over Chelsea. Henderson came off the bench to play in a more advanced role against Southampton, scored and has subsequently started in that role against Porto in the Champions League and Chelsea. Former Liverpool players and Sky Sports pundits Graeme Souness and Jamie Carragher both feel that Henderson is more suited to that position, where he set up Sadio Mane's opener, and will thrive as a result. 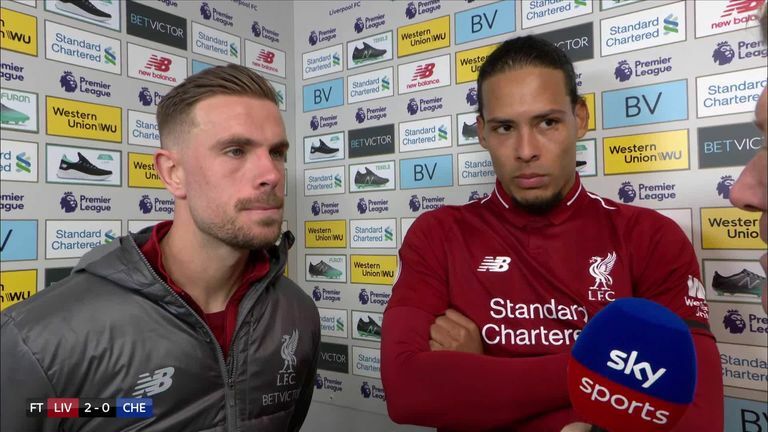 Virgil van Dijk and Jordan Henderson say they must not get ahead of themselves and take each game as it comes, following Liverpool's 2-0 win against Chelsea. "To play as an anchor man you have to be extremely disciplined and a lot of the time you're attracted to the ball but can't go there because if you don't get there or it breaks down there is a hole. I think he's not suited to that role at this moment in time, maybe in another year. "He's got great energy, he's box-to-box and he can go 90 minutes no problem. Now he's off the leash and he'll be better for it. With Fabinho it's definitely his best position. He's happy not to be involved. Jordan wants to be on the ball, involved and he's got that athleticism to be sliding back, clearing your line and two or three seconds later be up the other end. 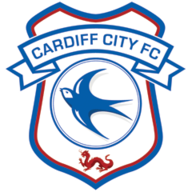 "I've been critical of the midfield, saying there aren't enough goals there. When he plays further forward he gets goals and maybe sets up a few more." "I think if we're being honest, Jordan Henderson will want to play in that role more because it looks like Fabinho has the position nailed down. In some ways the position he's played for two or three years under Jurgen Klopp isn't there as often as Jordan would like. He feels he can bring something else to the team. "It seems that he spoke to the manager about it. But it's not a case of Jurgen Klopp bowing to his manager and saying wherever you want to play I'll put you in. Henderson was on the bench at Southampton and he was given his opportunity and took his opportunity and changed the game. He was Liverpool's best player midweek against Porto and he was always going to be one of the first on the team-sheet today. "He's always had great energy and I think his actually ability with what we saw for the goal today. In the inside right channel he can put a great cross in. It was interesting that Jurgen Klopp mentioned trying to find him in the No.10 position a lot today, between the lines and that's where he finds himself for the goal. "He doesn't get enough credit at times for his quality. 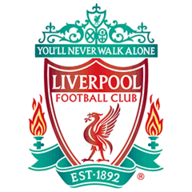 That is a unbelievable ball in front of the Kop, with players flying in and you have to get the sand wedge to the back post. It's a simple header but without Jordan Henderson quality in the box it's still 0-0."